Ryan Plummer shares how he started #15MinMograph and how School of Motion courses helped grow his confidence as a Motion Designer. Over the past few months we've been reaching out to Alumni to talk about their lives after taking a School of Motion Bootcamp. 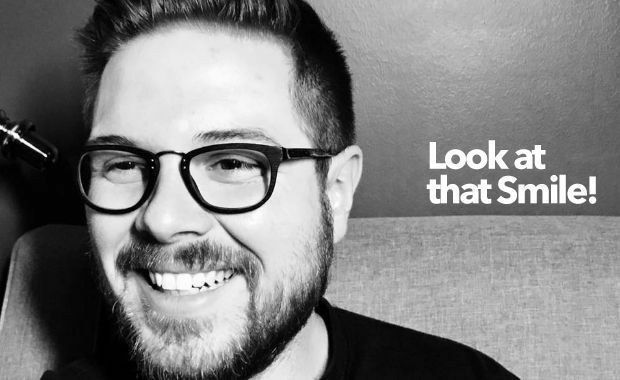 This week we chatted with Ryan Plummer to discuss his passion project #15MinMoGraph and his full-time job as a Motion Designer. Ryan Currently works in Dallas, Texas as a full-time Motion Designer for GM Financial. Even though he already had a full-time job when he started the courses, School of Motion bootcamps helped him develop his skills and get connected with some awesome artists. SOM: Ryan, you’re probably best known to our alumni community as the guy who started #15MinMograph. Could you tell us a bit about how you came up with the idea? RP: The origin story of the #15MinMograph is honestly not this romantic, love story of a passion-seeking career enthusiast finding his calling after carefully molding his thoughts into a product for others, it was more of an accident that garnered support from friends made during my time in the School of Motion community. Interestingly enough #15MinMograph has been something new in my life that really opened my eyes to what it is I find joy in doing. It all started with me being bored at work, sitting at my desk day in and day out, twiddling my thumbs, and feeling sorry for myself. The job I was at didn’t have a huge need for motion design and I was really getting discouraged that I didn’t have anything to make. One day when the clock was getting close to 5:00 PM, I had a thought pop up into my mind. What can I make in fifteen minutes? Knowing that it wasn’t going to be this work of art, would test my stress response, and would be a little bit of an adrenaline rush I found myself opening up After Effects. Fifteen minutes later I had rendered a turd, but it felt good. I had done something. I had made something outside of work. In addition to those comments other people had already done the same thing and were posting it as “Ryan’s 15 minute challenge” and were seemingly surprised with what they learned in that fifteen minutes. I was initially confused… I hadn’t prompted anyone to do that, nor did I expect anyone to do anything with it. After a few days of people posting a ton of fifteen minute challenges and flooding our Alumni page I took responsibility for the challenge. That lead to nose dive of other events where I eventually created an email subscription list, and had prompts being sent to people’s inboxes. Rod Macey, Sam Burton and George Mason, European School of Motion Alumni, rallied alongside me and spurred me on, helping tremendously with encouragement, social engagement, and content creation for the challenges. Today there are over 350 people signed up to receive the prompts, and I have a lot of ideas for richer practice initiatives for those who are looking to utilize the #15MinMograph in helping them create content for themselves and looking to bust out of their shells of insecurity. In short, the community inspired me to start the #15MinMograph! SOM: It’s great to hear our community had such a big hand in it. How would you say our Alumni Community has influenced your professional career? RP: One of the most amazing gems available to those who take the School of Motion courses is the Alumni page. Every day is a new adventure in our group with people posting new reels, work they need help on, tools and tips, or insight into the ever-evolving motion industry. Getting to know other artists in the group, and being active in the group really has helped me to be proactive in my own journey; whether it’s working on collaborative projects, giving feedback, receiving feedback, or being on live videos discussing the industry. These things weren’t available to me two years ago; I didn’t have a community for growth or support and I was isolated in my own little professional bubble. Recently I even had an opportunity to be a part of a panel, featuring fellow School of Motion Alumni, with aims to ask advice from Chris Do on his YouTube channel The Futur. Being able to even make that connection was made possible through the community and friendly environment promoted by the team at School of Motion. SOM: How about our courses? What would you say were the most important things you learned? RP: There are just so many things that I’ve learned at School of Motion. Whether it’s through the course’s I’ve taken or the SOM Alumni group, there have been so many eye-opening moments throughout the past two years. When I started my first course, Animation Bootcamp, I was already in the industry working a full-time salary job. I was doing a good bit of motion graphics, but I wasn’t really proud of my work when it came to exporting the infamous FINAL_Final_AnimationProject_V4-2, but being introduced to timing and spacing, the curve editor, and the 12 principles of animation opened up a whole new world of knowledge that I could now use in my work. I also learned to get acquainted with the industry through the community page, PDFs in the courses, and amazing podcasts both in the course and on iTunes. These featured people I have never heard of, experiences I’d never expect, and new breathtaking work to google and admire. I would definitely encourage people to set aside time to listen to the podcasts when they are released, whether the topic seems relatable or not. As for Design Bootcamp, it’s a behemoth of a course and when I started I learned that I was terrible at scheduling my time, haha. You think you know composition and the rule of thirds, but you don’t know jack until you see Michael show you how it’s REALLY done. I also learned to be aware of my value structure when designing a composition really took my work up another level. Not only is this something I utilize in my motion design, but I also use it in regular video production. SOM: Glad to hear you’ve learned so much Ryan. Finally, what advice would you have for newcomers to School of Motion? RP: First of all, “Welcome!” Second, “Don’t worry about bandaging your wounds as you go through, it’ll be over soon enough, and we’re here for you on the other side.” No, but seriously, I would advise a few things. Schedule time into your day and stick to your plan; don’t try to do everything on Friday. Make a thorough folder structure for your course so you can stay organized and on top of everything. Let your TA know why you designed your project the way you did, and practice pitching it to them. You’d be surprised with the quality of feedback you can receive. They can then give you a more specialized feedback on how you are or are not meeting those design goals. SOM: Where can people find your stuff? RP: You can check out my instagram, my handle is greyn_amation and of course I have a Vimeo page. If anyone wants to join the 15 Minute MoGraph challenge you can signup for the email list here. You can also see other historical projects on the Trello Board.